Elle Belle Creative: The Love Notes Were a Hit! The Love Notes Were a Hit! I had to post just a quick update on the Love Notes gift I made for my Doug for Valentine's Day. He loved it! You may be thinking "well of course he did... who wouldn't love to be told all the ways the person they pine for adores them" but it's not that simple. In the 11 years I've known Doug I honestly can only think of one gift I've gotten him that was a perfect fit for him. He's terribly kind and always appreciative, but super particular. He was so sweet as he opened the love notes jar and read a couple then closed it and said "I want to savor these, I'll read more later". Later last night I asked him if he'd read anymore he said "just 10 more... while you were at the grocery store, but it was hard to stop" :) I'm so happy about making him happy! 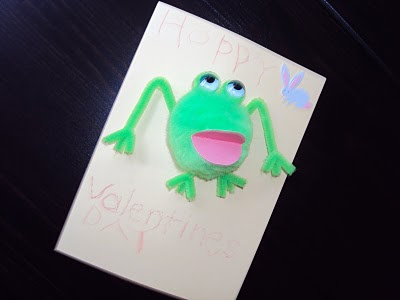 Oh, and here's the little "Hoppy Valentines Day" card Elle and I made for him with a pom-pom & chenille stem froggy magnet on it. 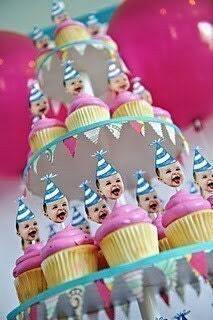 It would work for pretty much any celebration that could start with "Happy..."